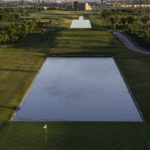 From a golf course architectural perspective, Noria Golf Club is easily the most unique golf course in Marrakech. 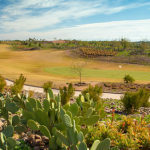 The concept of blending three different landscapes (orchards with lavender fields, the desert and a formal “oasis”) was challenging, yet provided the basis for a golf experience filled with wonderful variety for the player. Added to this basic framework were lots of interesting traditional Moroccan features ranging from reflecting pools, cascades and basins, to architectural elements such as bell towers and observation structures, to dry river beds (wadi), irrigation channels (khettara, seguia) and a device for raising water from a river (noria), a traditional Moroccan landscape feature from which the course takes its name and which can be found at the 15th hole. 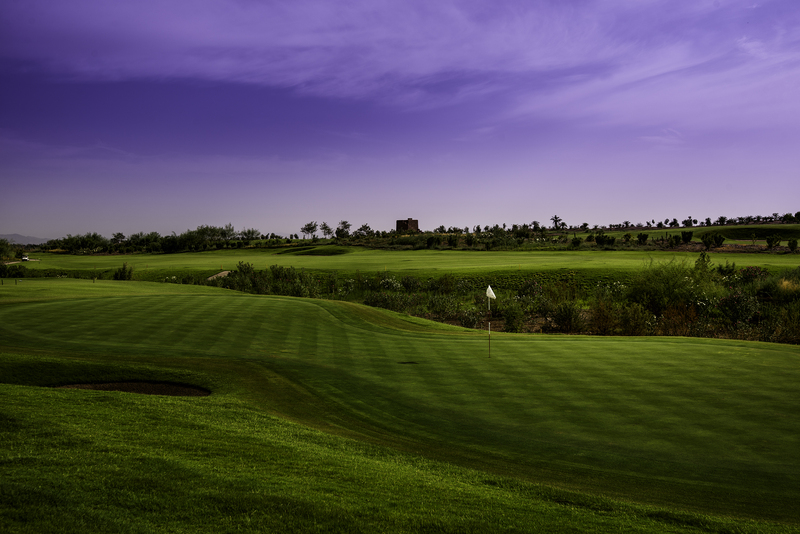 This can only be described as a quirky course and when we first played it back in 2014 it wasn’t a course we felt we could recommend. 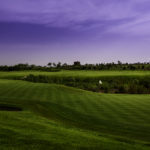 The course, however, has bedded down really well and gets consistently good feedback now. 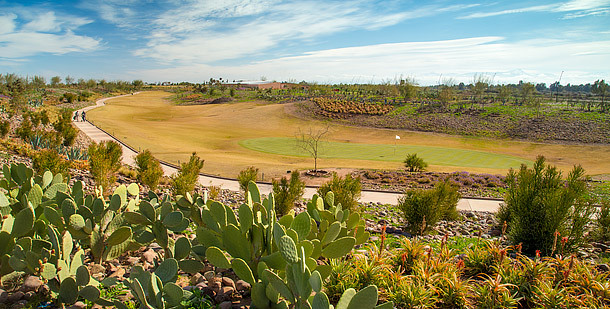 The course is often very quiet, well maintained, in great condition and lots of fun to play. 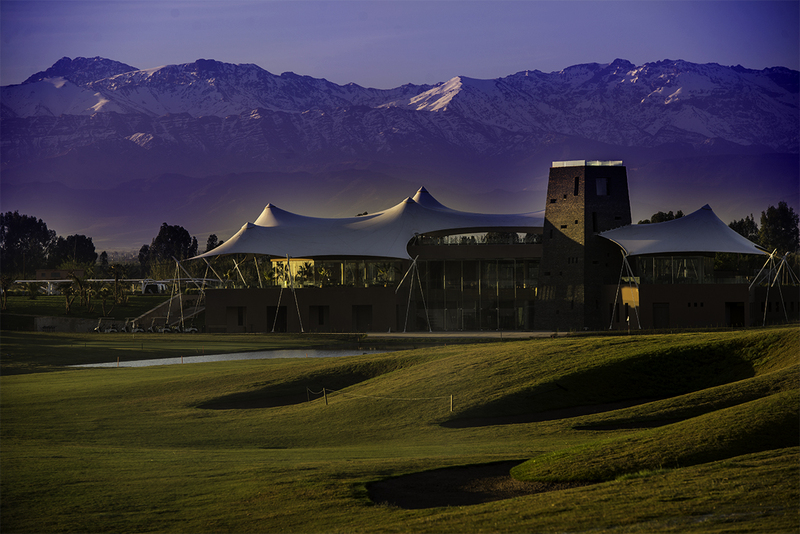 You will not find a hole like the 8th anywhere else. 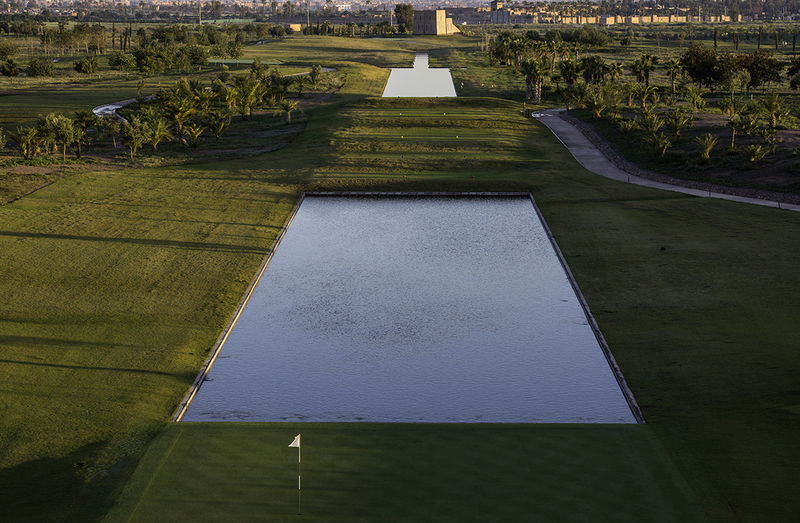 A par 3 with a reflecting pool and an oblong green all overlooked by a Moroccan bell tower. 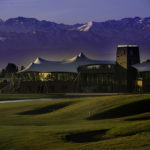 The 9th and 18th holes are also both separated by a reflecting pool which provides a spectacular finish to the front and back nine with the impressive clubhouse and Atlas Mountains as a back drop.